NOTE 1: “Empty”, “Low Ink”, “Out of Ink“, “? 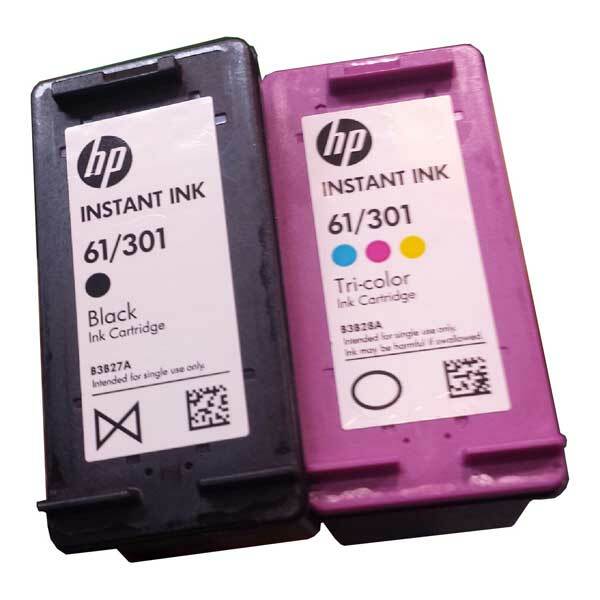 Marks“, “Counterfeit” and “Non-Genuine Cartridge” alerts are COMPLETELY NORMAL for all HP 300, 300XL, 301 & 301XL black and color ink cartridges which have been refilled! While at first this may be an unusual workflow, it does allow print operations to proceed. 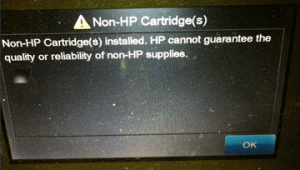 NOTE: If a “Non-HP Cartridge(s)” message, or similar message, cannot be bypassed then the cartridge may be suffering from marginal internal electrical performance and may need to be replaced with a new one. First remove and thoroughly clean cartridges electrical contacts & printer flex cable contacts and retest (refer to Printer Maintenance). If the problem persists then return cartridge to your refiller for analysis.